Eduniversal’s best masters rankings place the E. J. Ourso College of Business’ Master of Science in Finance and Master of Public Administration programs 11th and 12th, respectively, among public colleges and universities in the United States. This is the seventh annual edition of these rankings, which rate 4,000 masters programs for 30 majors across the world. 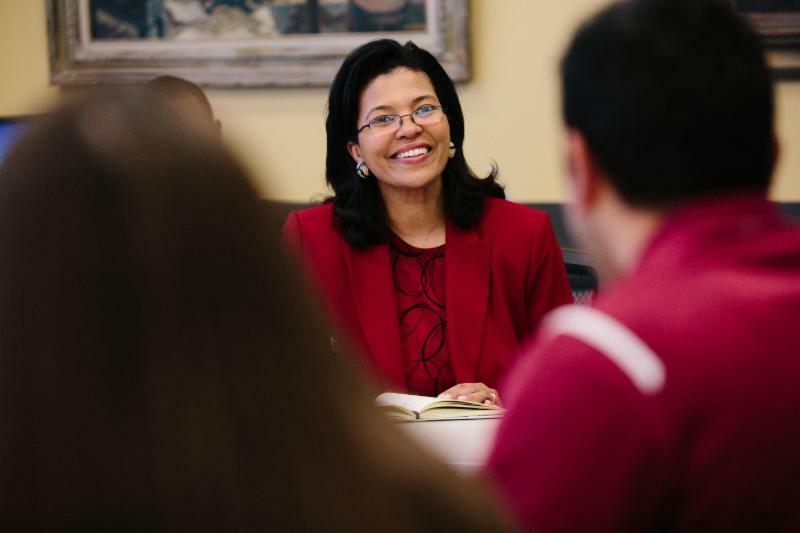 LSU alumna and Louisiana Commissioner of Higher Education Kim Hunter Reed will deliver the keynote address at LSU’s summer commencement ceremony on Friday, August 3. 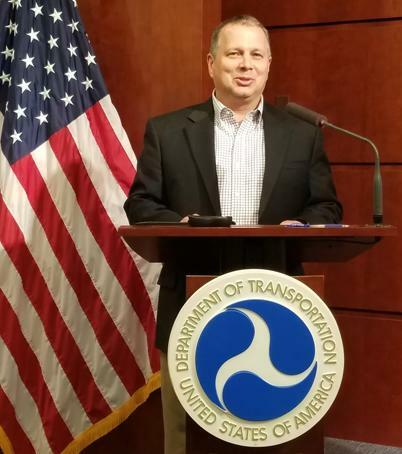 Cory Hutchinson, an associate professor for research in the E. J. Ourso College of Business and director of the Highway Safety Research Group (HSRG), was one of six experts invited to present a lightning talk during the recent U.S. Department of Transportation Safety Data Forum. A paper authored by a group including two LSU professors was recently honored by a publication of the Association of Computing Machinery Special Interest Group on Management Information Systems. “Examining the Impact and Detection of the ‘Urban Legend’ of Common Method Bias” received an honorable mention in The Data Base for Advances in Information Systems’ ranking of best papers for 2017. 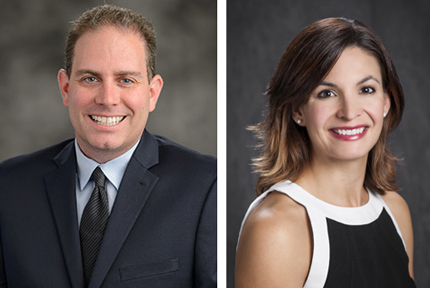 The paper’s authors include Andrew Schwarz, a professor in the Stephenson Department of Entrepreneurship & Information Systems, and Tracey Rizzuto, an associate professor in the School of Leadership & Human Resource Development. Additional authors include Colleen Carraher-Wolverton (University of Louisiana at Lafayette), José L. Roldán (University of Seville), and Ramón Barrera-Barrera (University of Seville). 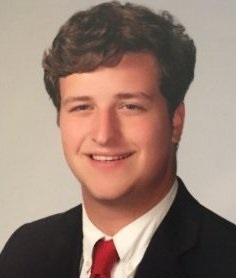 Jared Molaison, a finance major from Lafayette, La., recently received the F. Malcolm Hood Scholarship Award from the LSU Center for Energy Studies. hosted by The Greater Baton Rouge Chapter of the LSU Alumni Assoc. The E. J. Ourso College of Business was ranked No. 3 on a list of the “50 Most Beautiful Business Schools” compiled by TopManagementDegrees.com , a guide to business and management education. 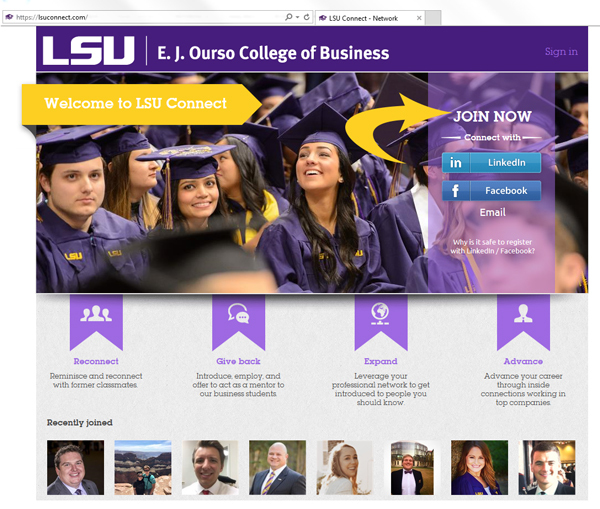 LSU Connect is a virtual networking platform for E. J. Ourso College graduates and supporters. This is an active network. Almost 90 percent of users are willing to provide some professional assistance in some form. Setting up your free account takes just minutes. Use the "join now" links at LSUConnect.com. To simplify the process, sign up using your LinkedIn or Facebook account. 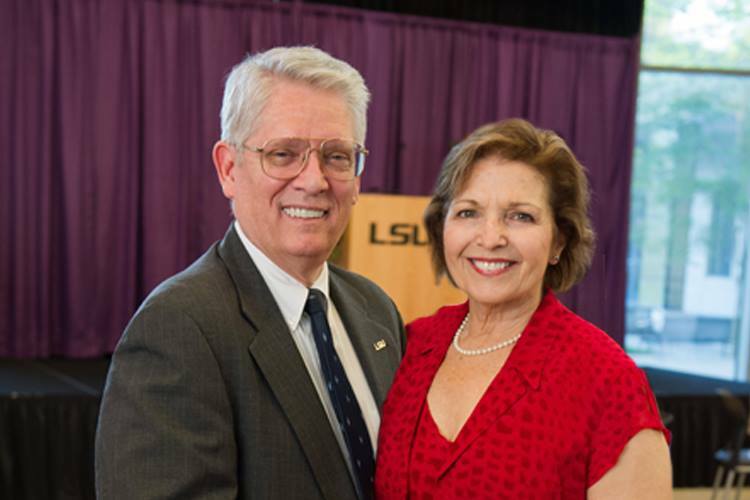 Over the last three decades, Emmet and Toni Stephenson have dedicated more than $25 million to LSU, consistently supporting and creating opportunities for their alma mater to produce forward-thinking, impact-driven graduates and outcomes. The Stephensons’ transformational investments in LSU’s Stephenson Entrepreneurship Institute, Stephenson Department of Entrepreneurship & Information Systems, Stephenson Disaster Management Institute, and School of Veterinary Medicine’s Stephenson Pet Clinic have positioned LSU as a leader in these areas. Young Entrepreneurs Academy of Baton Rouge (YEA BR) is an after-school program that transforms high school students into entrepreneurs. Beginning next month, this hands-on program includes guest speakers, field trips, and mentors from area businesses. High school students who mean business should apply today. Visit yeabr.org for an application and additional information . August 31 is the application deadline. An information sheet is also available. Join the Greater Baton Rouge Chapter of the LSU Alumni Association on Thursday, August 23 for an evening of fun that benefits local LSU students. Have news to share? Email Angela McBride .